Being an effective and proactive dealership staff leader or manager is important. Not only do you have to make sure your store is working hard to meet your department’s monthly goals, but, as a manager, you’re in charge of making sure your staff is aligned to get the job done. Not every member of your staff is going to remain at your dealership for the foreseeable future. No matter where they end up, whether it's in a higher position within your dealership or somewhere else, you can help them out by providing leadership skills they can use going forward. Promote job shadowing – Job shadowing is a great way for your up-and-coming staff to gain hands-on experience without being caught in the ringer of new and stressful tasks. Have them shadow some of your more experienced employees in different departments to give them an idea of what they could be doing if they work their way into a leadership role. Provide feedback – Whether it’s good or bad, you should always provide feedback to your employees. Those that wish to advance in their careers often have a strong desire to learn. The more feedback you provide, the more they can learn and grow. Learn more about them – Get to know your employees on a more personal level. Ask them how their day is going, and what keeps them motivated to come to work every day. A good tip is to implement the open door policy so your employees feel comfortable coming to you to ask questions or voice any concerns they have. Offer training – Just like job shadowing, offer some leadership training and encouragement. Make sure you balance out training with their everyday job so that they can learn while still helping you meet your store’s goals in their current position. Let them take the lead – If you feel confident in a certain employee or employees, let them help lead a low-end project. A temporary leadership role gives them the opportunity to manage a project in a higher role, as well as help them understand what it means to truly be a leader. Need Help Focusing on Sales? 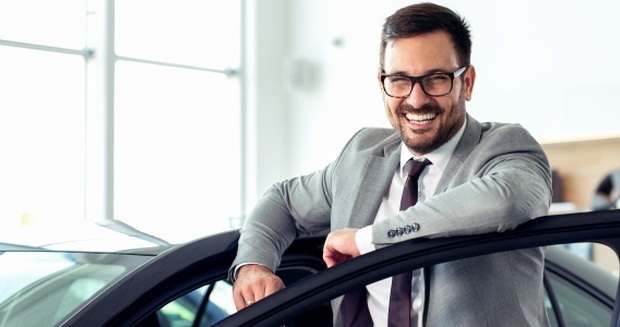 At the end of the day, you want to keep your employees happy and motivated to work for your store, all while sticking to your dealership’s goal. Depending on the type of assistance you plan to implement when helping develop future leaders, you may find it hard to focus on sales. The good news is we can help you out by making sure ready and committed buyers are always coming through your doors. At Auto Credit Express, we've been a top producer of subprime auto leads for over 20 years, and we can now provide the same high quality standard for new and used car leads through our partnership with CarsDirect Connect. If you're looking to boost your sales, let our auto sales leads help. Plus, we can provide more than just quality leads. To see how we can help your store increase productivity and profits, call us today at 888-535-2277 or fill out our online contact form and we'll get in touch with you!